With ICC Champions Trophy reaching its semi-finals, the tournament has served the pallets of cricket fans quite well. Along with a lot of thrill and excitement around the championship, it is loaded with super advanced technologies, making it for an awe-inspiring experience for the cricket fans. 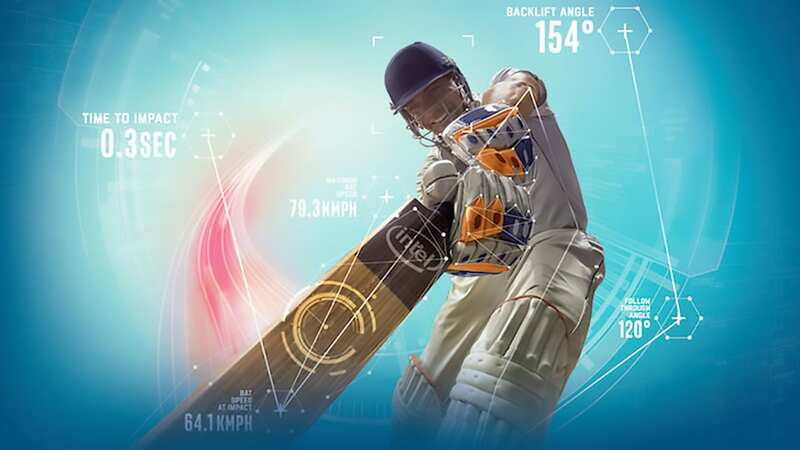 While the umpiring techniques, techniques to determine player’s or team’s performance, monitoring the fields, have all seen advancement in terms of various technologies being implemented in the past, Intel has associated with the cricket association as their technology partner to bring some really interesting developments to watch out for. This cricket season has been witnessing advanced pitch analysis, profiling bat swings and a virtual reality experience for the fans at the stadium. Top technology players such as Intel and Speculur have brought up their exclusive products to bring an exclusive cricketing experience. ICC had even tweeted an image suggesting how Drone pitch analysis, bat swing analysis and cricket VR experience is going to be a part of this ICC Champions Trophy. The Intel Falcon 8 Drone which is equipped with HD and infrared cameras are all for performing advanced pitch analysis before every match. It has been designed such so as to capture images, thereby offering rich visual data on pitch conditions and determining factors such as grass cover, grass health and topology. After all, grass cover is an important factor for bowlers trying to keep the run counts on a lower side! “These factors are then being analyzed to generate daily pitch reports leveraged by commentators during broadcast”, Intel mentioned in its official release. 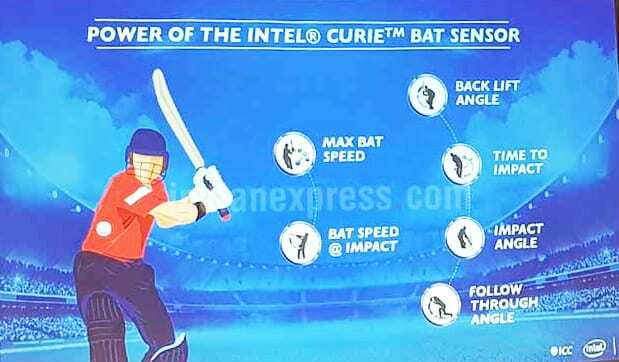 Developed by Intel in association with the Bangalore-based company Speculur, “BatSense”, as the new bat sensors are termed, are a unique offering this season. They have been designed keeping in mind both the professional and aspiring batsman. Speculated to be available for a price of Rs. 10,000, post its launch, it has currently been used by a handful of a batsman in each team at the current tournament. A little module attached to the top of a cricket bat, it is extremely lightweight, tested with high forces so that it doesn’t fly off the handle and measures six crucial metrics of batsman—max bat speed, impact angle, time to impact, backlift angle, bat speed to impact, follow-through angle. Also Read Flipkart vs Amazon – Is The Homegrown Giant Playing Catch-Up In Artificial Intelligence? Powered by the Intel Curie technology, it definitely can be a reliable assistant in the coaching process, where it can keep the coach abreast of different data requirements for improving a candidate’s performance. It connects via Bluetooth to any smartphone and transmits the batting data to a dedicated app. However, the sensors for professional players have X-band radio so that it can directly connect to the broadcaster’s booth. From the Indian team in the ICC Champions Trophy 2017, the likes of Rohit Sharma and Ravi Ashwin have been speculated to have been using the bat with sensors. “Speculur BatSense with Intel Inside has the potential to transform cricket across a varied audience from coaches to aspiring self-taught cricketers,” Atul Srivastava, Managing Director, Speculur was quoted as saying. “Coaches can use their insights and expertise along with the bat sensor data to make specific adjustments to a batsman’s technique ultimately helping him perform better,” he added. The company has plans to make BatSense with Intel Inside available in countries including Australia, US, UK and India by the second half of 2017. Experts believe that it might affect cricket in a lot of ways such as—player performance, game strategy, improving the overall cricket watching experience etc. It wasn’t a cakewalk to develop a sensor that could do exactly what BatSense does now! Creating a small yet effective sensor required the Intel team to come up with a hybrid material that could both be light weight and be able to take a beating. Once that was done, it developed algorithms that could differentiate between the actual stokes of batsman to that of mock swings they take in between. For this, they set up a pitch with high-speed cameras and LED that could capture a bat’s motion with ease. Intel then used this data to train the BatSense algorithms—a result of which we have seen on the grounds at this ICC tournament. Well, that’s not all; this tournament also brings an immersive VR experience for putting fans in the shoes of players. Innovative Virtual reality zones being set up at the Oval and Edgbaston by Intel is allowing the in-stadium fans to experience a virtual cricketing experience. All of these ingredients have added a strong flavour of technological superiority at ICC Championship trophy and we cannot wait to see more of it in the coming days. Also Read Is AI Capable Of Tackling The Caste Discrimination Problem In India?